Dale Chihuly is world renowned for his glass art. In fact, he has been at the forefront of the development of glass as a fine art. As a result, his works are on display in museums around the world. 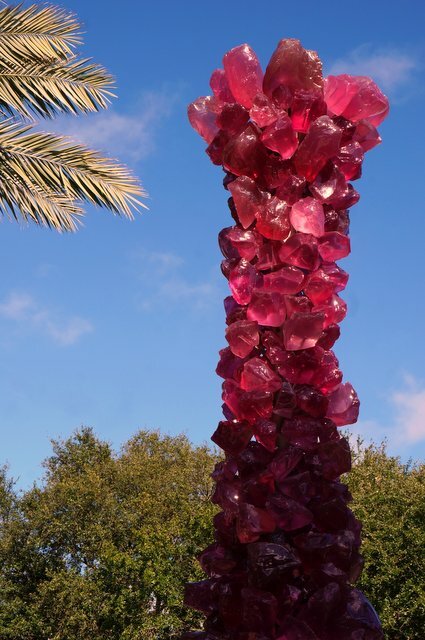 This large, statuesque piece in rose pink stands outside the Chihuly Collection in St Petersburg, Florida. Standing outside it benefits from the Florida sun imparting an incredible glow to the piece. 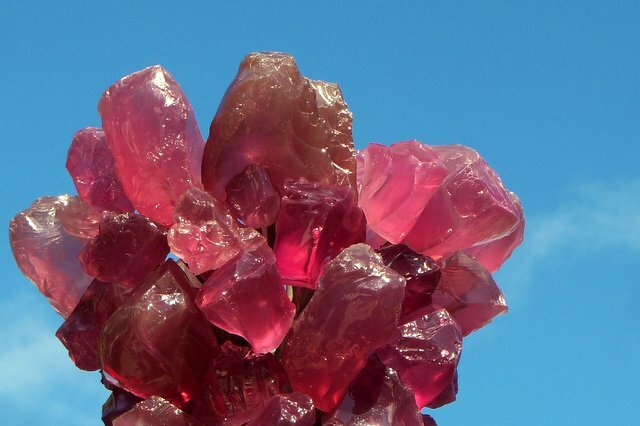 This one looks a bit like a giant candy floss – or rock candy. We saw one in Grand Rapids Michigan.